Sometimes it’s the obvious things which go unnoticed for a while yet turn out be be the perfect solution to an old problem. 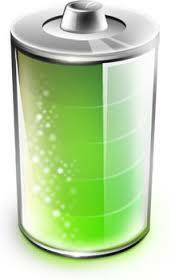 Such is the likely the case with a new scientific breakthrough in battery tech. Researchers at University of California and the Bourns College of Engineering may have just figured out an easy and cheap way to triple the battery life of our smartphones and tablets. After obtaining sand that is rich enough in quartz, Favors milled it to the nanometer scale and purified it. After adding a few other inexpensive ingredients, like ground salt and magnesium, the mix was heated to arrive at pure silicon. That same silicon also proved to be very porous which, reportedly, is the key to improved performance of batteries consisting the element. In any case, a threefold increase in energy density is reported to have resulted from this new process when compared with standard, graphite anode-based batteries. Best of all, this new solution would be far cheaper to produce, not to mention it would be non-toxic and environmentally-friendly. There are no reports on how quickly this breakthrough will make it to market, but the outlook is quite good. We will keep you updated as to if/when this starts hitting our favorite devices.